Why are we blaming Ariana Grande for Mac Miller’s death? YOU'RE READING Why are we blaming Ariana Grande for Mac Miller’s death? This kind of misogynistic trolling makes it even harder for women around the world to leave similar toxic relationships. Fans and fellow musicians were left shocked when 26-year old rapper Mac Miller died on Friday, Buzzfeed.com reports. It hasn’t been confirmed yet, but the cause of his death is allegedly a drug overdose. His tragic death comes just after the release of his fifth studio album, titled Swimming. The outpouring of grief from his fanbase and from celebrities alike have been immense, but unfortunately, as life on the internet sometimes goes, it took a toxic turn when fans started lashing out and blaming his ex, popstar Ariana Grande for his death. The vitriol became so unbearable, she eventually had to disable comments on her Instagram, although she's still receiving hateful messages on Twitter. 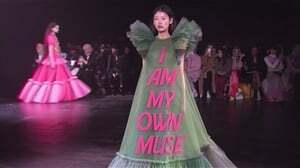 We live in a society that at once condemns women for not doing enough to leave a relationship that’s harmful and toxic to them, and then also then accuses them of not supporting or helping their partners who are struggling with addiction. 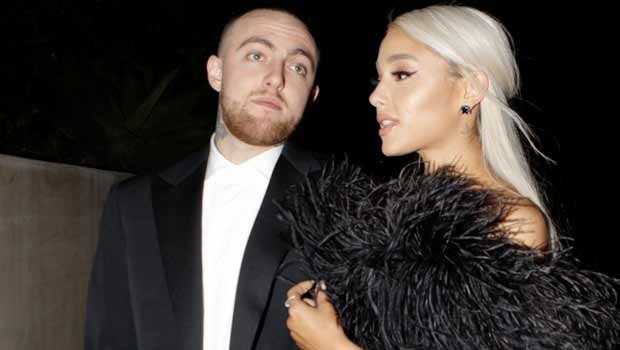 As if Ariana Grande didn’t want the best for Mac Miller. People wanna get mad, blame her and threaten her life. As if the woman isn’t hurting enough already. Wtf y’all sick ?? Manchester Bombing? Not Ariana’s fault. Mac Miller’s unfortunate death? NOT ARIANA’S FAULT! What do y’all have against Ariana that causes you to blame her for things that are out of her control? Mac Miller made no secret about the fact that he was struggling with mental health and addiction. In fact, Channel24 reports that his latest album actually openly addresses his struggles. He was struggling with addiction while dating Ariana and he was struggling with addiction before then, but it seems like people just can’t stop making Ariana a target of their vitriol. When they broke up earlier this year (Ariana started dating Pete Davidson a month afterwards), she already received backlash after folk on social media accused her of not being there to support him. She responded to a user with a tweet that went into detail about how she tried her best to support him, but that she wasn’t willing (nor should be) to stay in a relationship that was ultimately unhealthy and harmful to her. Most importantly she adds that while she’ll continue to keep him in her thoughts, it’s not her job as a woman to stay by someone who isn’t making the effort to get the help he needs. Placing the onus on someone else to fix that person is not only unfair, but it takes the focus away from the conversation we should be really having: the struggle and illness of addiction. It’s also a reminder that once again, women are upheld to unrealistic and unhealthy (relationship) standards. It was never Ariana’s job to save him from himself. Only Mac could do that with professional help considering how serious his condition was. And to imply that she had to stay in a relationship and sacrifice her own healthiness and happiness because he came first, is the height of toxic relationship culture. Women already find it hard to leave relationships that are toxic, abusive and unhealthy – attitudes like this towards women who’ve found the courage to leave make it even worse. The grief entitlement and rage we’re experiencing from fans is also unfair, because as Refinery29 adds, Ariana knew him as a person and is surely mourning him as someone she cared about on a personal level. Breaking up with someone – especially if that break-up wasn’t acrimonious – doesn’t mean you stop caring for that person. She deserves to grieve him just as much as his fans do. We can honour him and remember him without placing any unwarranted blame on his ex-girlfriend for making the decision to move on. Mac only had positive things to say about Ariana moving on with her life. If he can wish her well, then so can his fans.